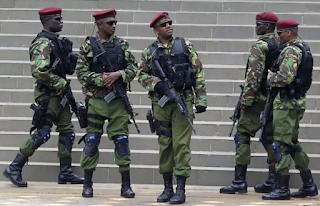 A RECCE Squad police officer shot and seriously wounded his colleague in the stomach early this week while in pursuit of the al-Shabaab militants in Lamu's Boni forest. The officer constable Bethwel Tuitoek turned his gun on his colleague, Anthony Wanjohi, following a mini argument in the forest and shot him in the stomach. The other officers wrestled him to the ground and disarmed him, reports Nairobi News. He was later arrested and locked up at Lamu Police Station after which he will be arraigned in court. Officer Wanjohi was airlifted to Nairobi for treatment and is said to be in stable condition. 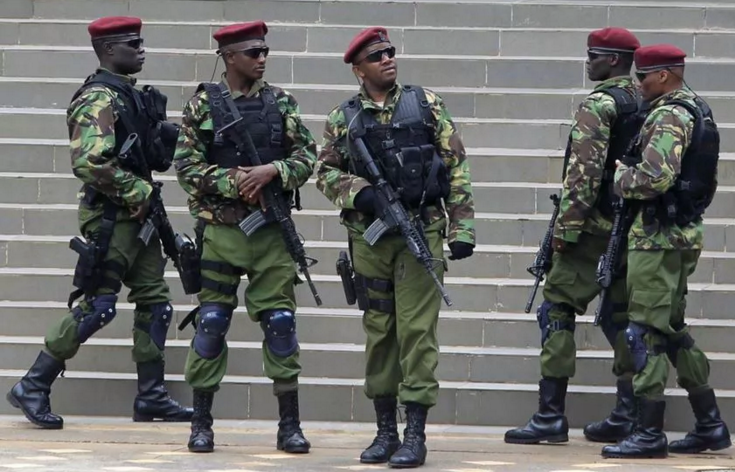 RECCE Squad is a highly trained department of the Kenya Police force that is deployed in dangerous situations. The Al-Shabaab militants have been pitching tent in Boni Forest from where they have been carrying attacks on the area civilians and security personnel. The government has been recently criticized for not getting help for the RECCE officers who have been seen to undergo work related stress.